Remember figure skater Michael Christian Martinez? He’s the guy who was a legitimate source of Pinoy pride back during the 2014 Sochi Winter Olympics. The bad news is, the 20-year-old did not qualify for the upcoming Winter Olympics which will be held in Pyeongchang, South Korea in 2018. 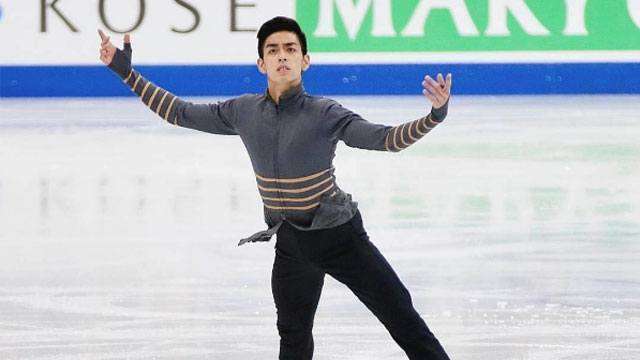 Martinez failed to qualify after he clinched the last spot during the 2017 World Figure Skating Championships in Helsinki, Finland over the weekend. His nimble performance garnered a total score of 196.79. Martinez has to do better than that if he wants to get anywhere near the level of tournament winner and 2014 Olympic champion Yuzuru Hanyu who wowed judges with a score of 321.59 points. The good news though is Martinez can still qualify for the Winter Olympics if he performs well during the Nebelhorn Trophy in Germany where there will be six slots up for grabs in September. The Philippine Skating Union (PSU) initially but mistakenly announced over the weekend that Martinez qualified for the 2018 Winter Olympics. This was clarified later on after by the PSU which explained the reason why Martinez wasn’t able to make it. Martinez got international renown when he became the only athlete fielded by the Philippines and served as the country’s flag bearer during the Sochi Winter Olympics in 2014. Although he finished at 19th place, he made history by being the first skater from Southeast Asia to qualify for the Winter Olympics. Here’s his graceful performance from three years ago.